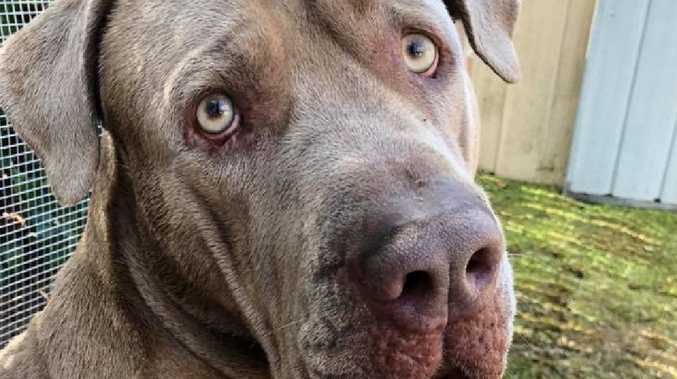 A DOG that spent the past two years on death row after he left a massive hole in a 7-year-old girl's face, has been released back to his owners. 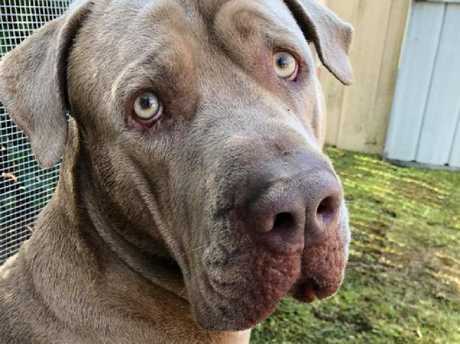 Hank, the four-year-old Neapolitan Mastiff, was placed in the pound in May last year after he was declared a dangerous dog under Queensland's Animal Management Act 2008. 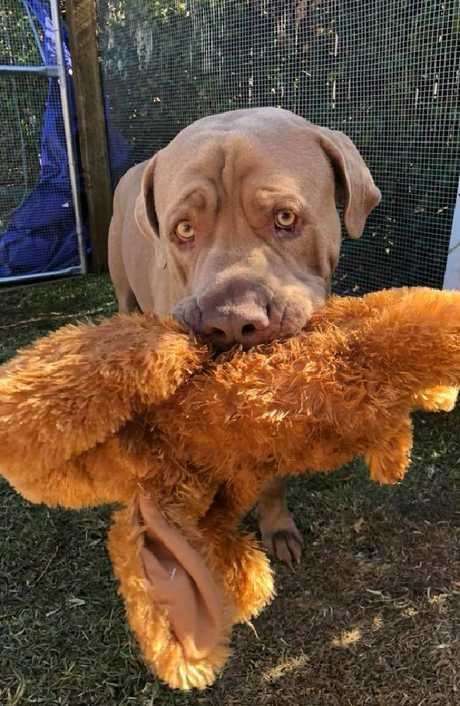 After a 16-month legal battle costing more than $30,000 and three civil appeals, Hank was released two weeks ago to his owners, Tam Bradshaw and Nathan Wallace and is now back at home in Moreton Bay, north of Brisbane this month. But not everyone is as happy to have him home. Since his return, Hank's family say they fear for their safety and have received a number of death threats aimed at their beloved dog. Family members have told news.com.au they are extremely remorseful over the little girl's injuries and have complied with all council directions, but they are now terrified Hank will be baited or murdered. Mr Wallace and Ms Bradshaw had taken Hank to a neighbourhood gathering in October, 2016, when the incident occurred. The little girl and her mother, who cannot be named for legal reasons, approached the couple to ask if she could pat their dog. Hank was allegedly suffering from an ear infection at the time and Mr Wallace believes that the girl, who is now nine, may have unintentionally pulled on or hurt his ear, causing him to jump. "My best guess is that he jumped and came down on her and his jaw met hers and cut her cheek," Mr Wallace said. Court documents state there were no witnesses to the actual incident between the girl and Hank but there was "no direct evidence that Hank had acted in any way aggressively toward the child or any other person at the time". 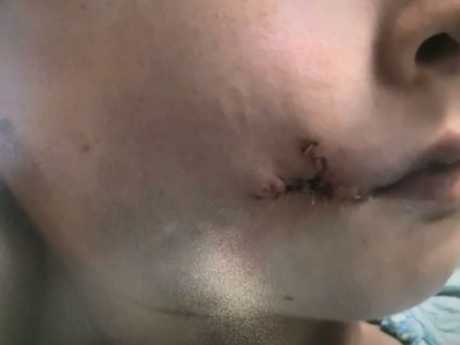 The girl was raced to hospital and required plastic surgery to fix the large hole in her cheek. It is understood that the girl, now aged nine, will require more surgery as her face grows. According to Mr Wallace, the family felt terrible about the accident and did everything they could to make up for it. "We have never denied that Hank was responsible for causing an injury to the girl and we will always be truly remorseful of that," he said. Mr Wallace said he and his family had bought the girl presents, offered to pay for her medical expenses and even picked her and her mother up from the hospital when she was discharged. "But we are now shattered, knowing that the entire time we were doing all of this, her mother was complaining to the council to try and get Hank killed," he said. Seven months after the incident, council officers came to the couple's Rothwell home when they were both at work and, declaring Hank a dangerous dog, seized him and took him to the pound. They left behind paperwork advising them that they were also seeking a destruction order for Hank. Mr Wallace said despite their best efforts, the family wasn't allowed to see Hank for the next five days. "We had to get lawyers involved just to see Hank in the pound," he said. According to Mr Wallace, the highly trained dog struggled inside his 2m by 3m cage because he would only eat, drink, even urinate on command. "He suffered liver damage from being on antibiotics for his entire stay, scars on his legs and paws, and he had kennel cough three times. It was terrible," he said. The family launched a social media campaign including a website to save Hank, they collected 115,000 signatures for a petition to release him and amassed more than 6000 followers on Hank's dedicated Facebook page. 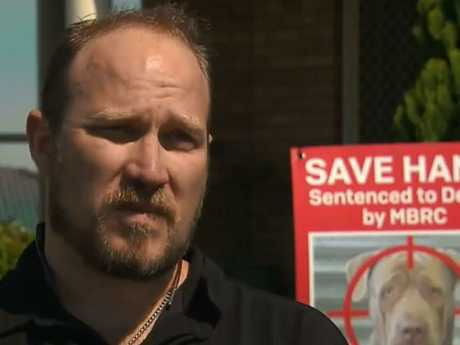 Protests were also held outside the council headquarters in Moreton Bay, with residents waving placards with Hank's face across it and the words "Save Hank. Dogs are Family." 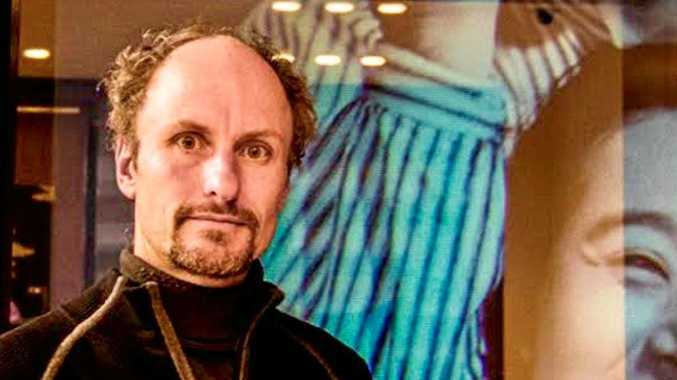 After three appeals through the Queensland Civil and Administrative Tribunal, a ruling dissolved the destruction notice and declared that Hank did not have the character or history to warrant being put down. The tribunal found there was no way to tell whether the child's facial injuries had come from a bite or a clawing, "although it cannot be disputed that the injury to the child was unquestionably serious and traumatic". It also concluded the incident was "an isolated one", given that the dog had never exhibited aggressive behaviour towards children in the past. "It is unfortunate that Hank has been impounded for such a lengthy period of time and it will obviously be necessary for Ms Bradshaw to be vigilant in ensuring … that Hank does not (pose) a threat to the safety of other animals or people," the tribunal concluded. Moreton Bay Council did not respond to requests by news.com.au for comment. Hank is now classified as a dangerous dog, which means he must be kept in his own pen at all times and wear a muzzle and a lead when out in public. But despite having their beloved dog home, Mr Wallace say his family was frightened of retribution from the community over his release. "We're worried he could be baited and killed after all our work to save him," he said. "We have had death threats that Hank should be shot and that people want to jump the fence and kill him". 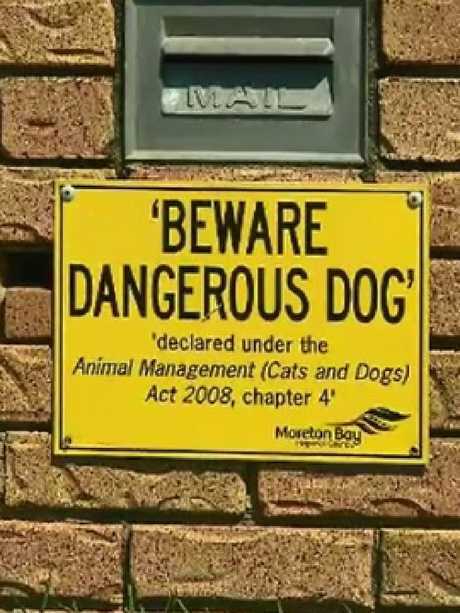 Mr Wallace has had to install security cameras in his home to try and protect their family and their dog. "This whole ordeal has really rattled us and put the safety of my family at risk," he said. Meanwhile the victim's mother told Channel 9 this week that her daughter is struggling to live with the emotional scars of what happened back in 2016. She said she strongly believes that what occurred was an aggressive attack, not an accident, and that killing Hank was "the only safe option". "We were utterly shocked and devastated at this," she said. "When I told my daughter he was back in the street she was utterly sobbing her heart out." 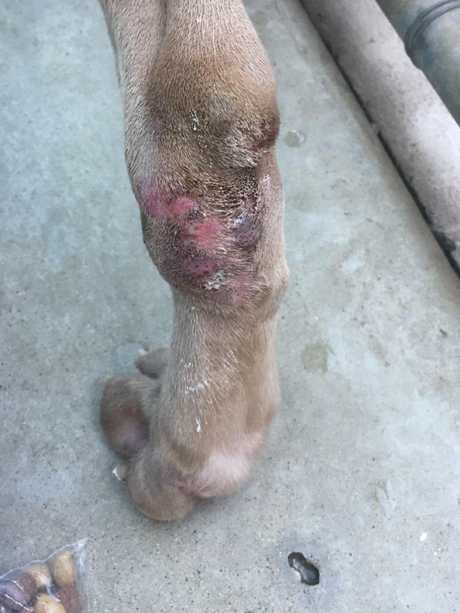 The mother said she wanted Hank off the street for good and told another outlet: "Who is the victim here, the dog or my daughter? ".